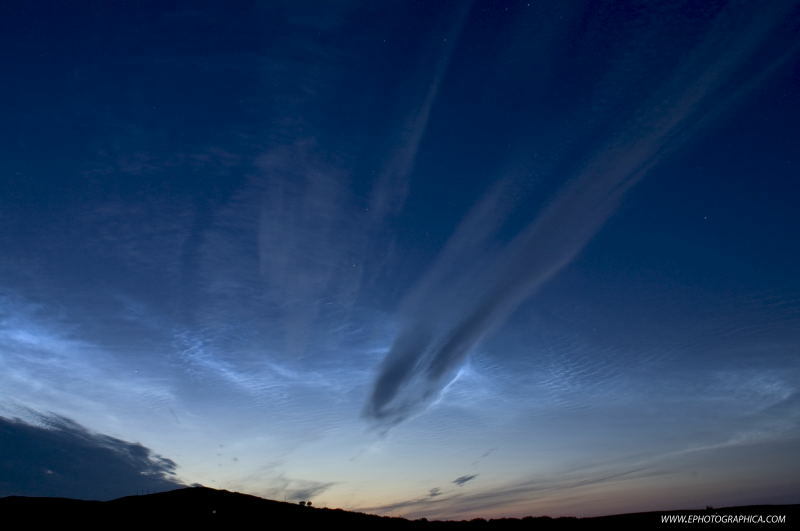 Some fine and quite brilliant streaks with Noctilucent Clouds appeared in the northern sky just 2 hours before sunrise. 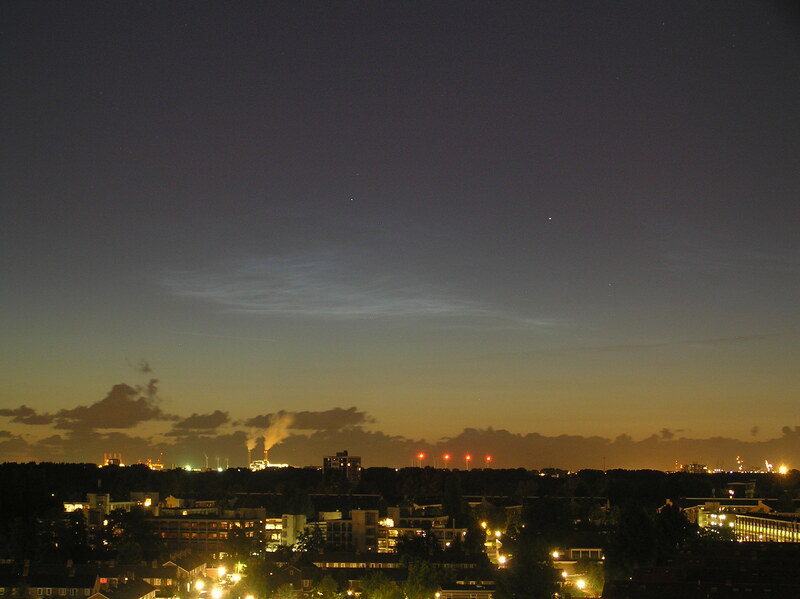 It’s the second night on a row that these clouds were visible over the Netherlands. The atmospheric conditions were excellent, very transparent skies and in the dusk the light of the full moon did not interact anymore (causing sometimes wrong interpretated cirrus clouds for NLC). In this 9-minute animation, the movement of these clouds is visible. 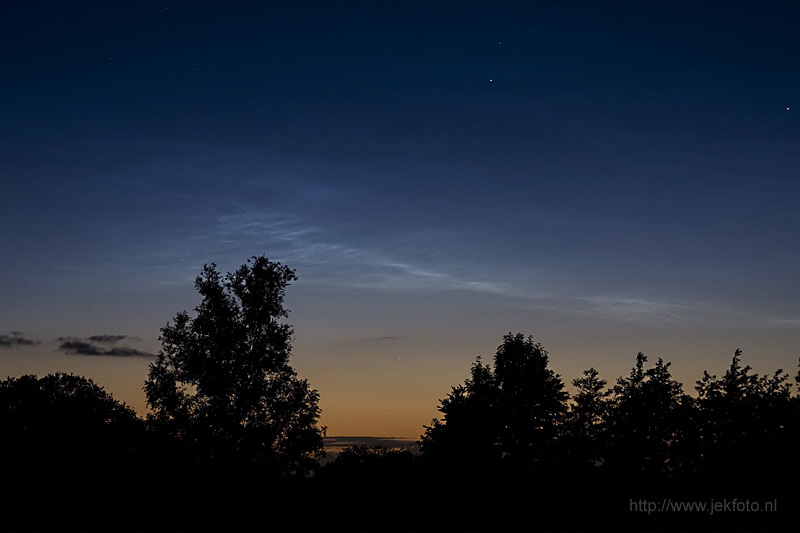 First NLC’s were visible just before 0100 UTC, last remnants disappeared in the early morning skies around 0230 UTC. Sunrise in the Netherlands was at 0318 UTC this morning. 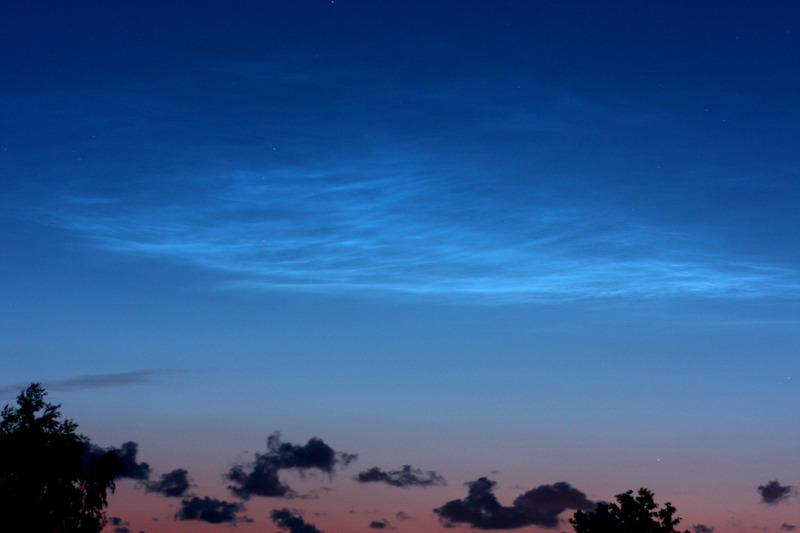 Since 1984 I am watching NLC’s and each time again they give a wonderful feeling watching their ‘strange’ white-bluish glow. Amidst the sound of the first birds beginning their singing today just around 0150 UTC) it is nature at one of its best sides. 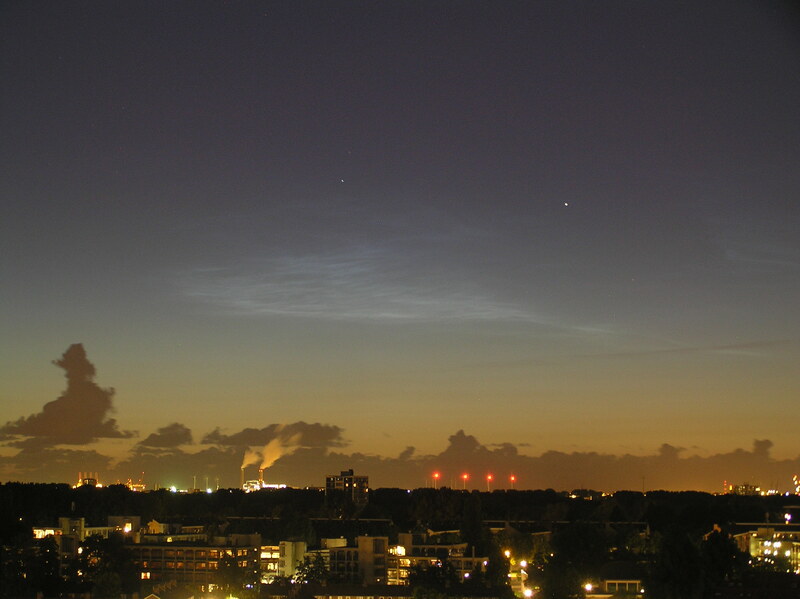 NLC's from the Netherlands. No so bright, but beautiful. I made these pictures using my Canon EOS 10D and Canon 40D. 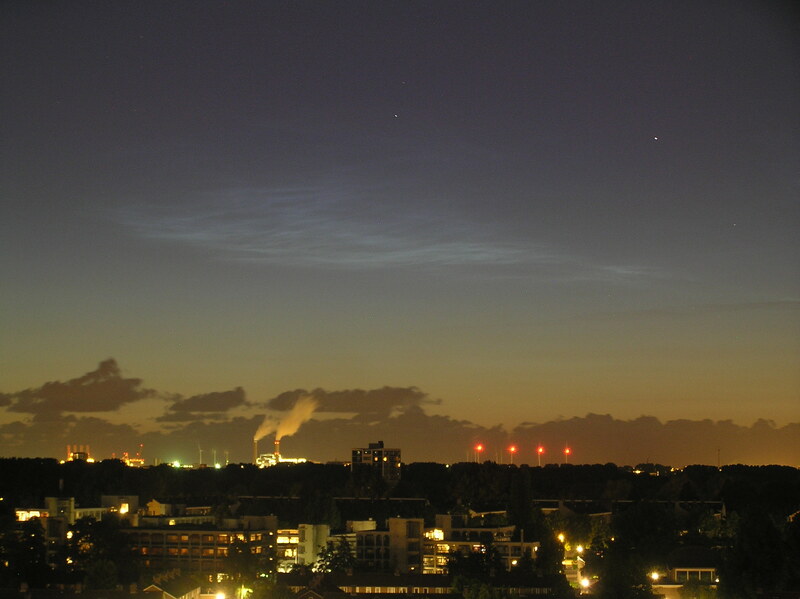 A nice NLC display above De Wieden in the Netherlands in the evening of june 15th. 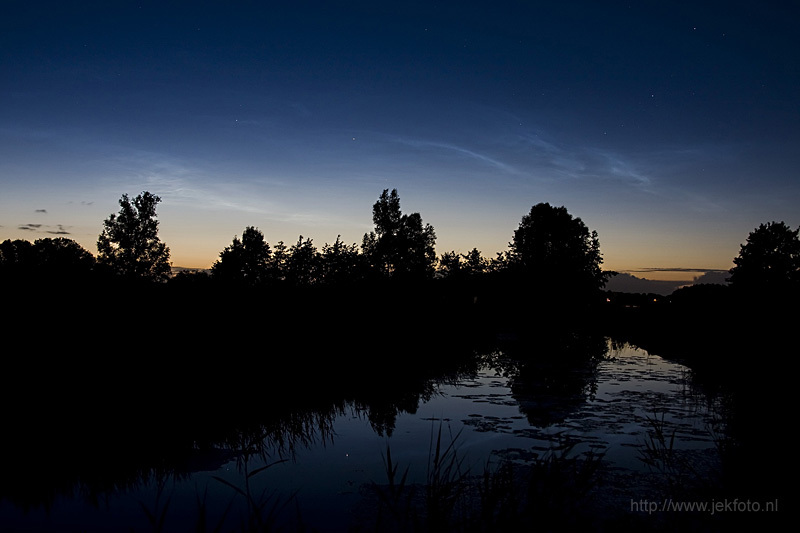 It was very nice to see the noctilucent clouds reflect on the water. I have never seen the moonless night so bright. It looked as if the sun just set an hour earlier although it was 2am at night. Strange and beautiful!